If this were Winnipeg, the residents would be sandbagging like mad. But it's not. It's Europe and so having water right up to the building's foundations is just fine. Thun sits within sight of Switzerland’s spectacular Bernese Alps, which means that it is much-ignored as people speed on past to get to the mountains. It’s name is no help: Pronounced ‘toon,’ it struggles to be taken seriously, and fails to inspire curiosity the way that a name like Zermatt, Zürich or Neuchatel might. Poor Thunites. But their town is lovely, with the River Aar running through it, the classical cobblestone streets, covered bridges, a castle, and scores of outdoor riverside cafes. 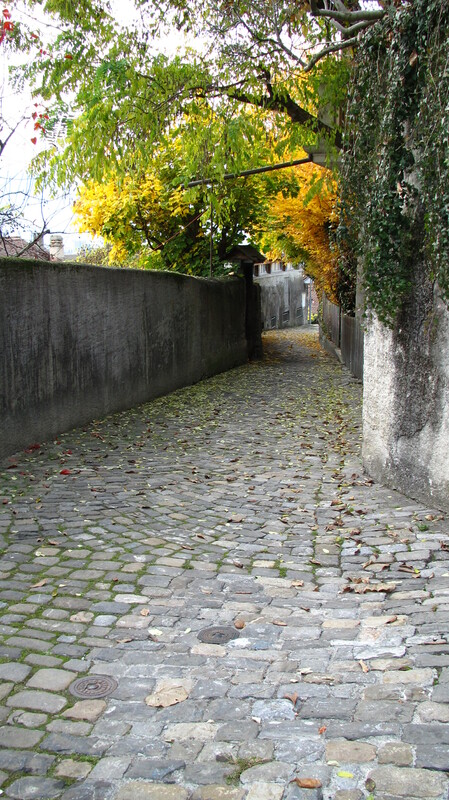 Once you make it up the steep stairs leading to the castle, you're rewarded with a maze of these lovely cozy walled cobblestone lanes. Our first clue the town is somewhat overlooked came when we stopped in at the visitor information centre. These are often found in train stations and usually attract a lot of traffic as tourists flood up from the station platforms, but when we arrived we increased the office’s tourist population by 100%. The agent was so happy to see us that she came around from the booth to greet us, bidding us welcome in such a way that it was clear our presence was her only hope for job security. 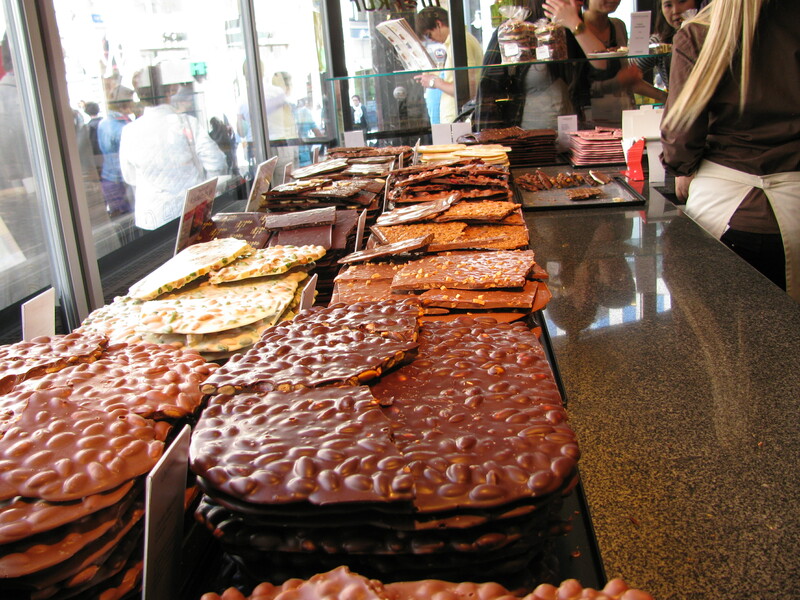 The truth is, Thun would not rank high on any tourist guide’s “must-see” list, but that is because it has such fierce competition. As Dave has noted, while B.C. has one Victoria, Switzerland has about 500, or one every 10 minutes. How can a place stand out with competition like that? 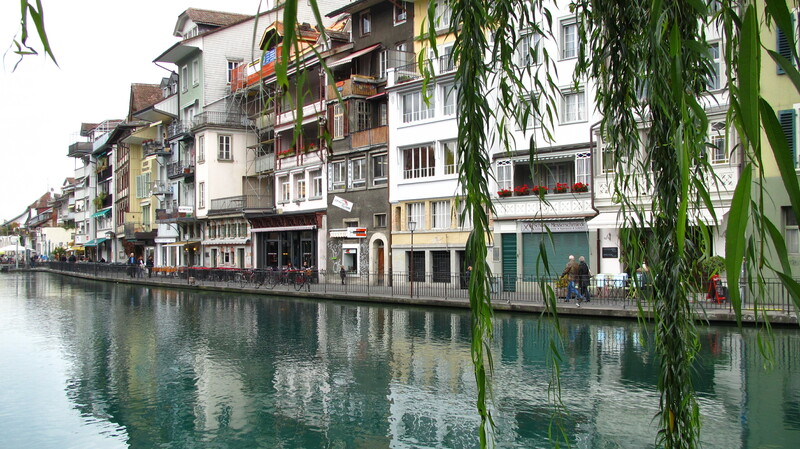 Thun. Ugh. What a horrible place. If you go, make sure to take the walk up to the castle. The stair-climbing will just about kill anyone – and as proof, not long after we arrived at the top gasping and clutching our chests, a woman not 30-years-old came up behind us, panting and red-faced. So it wasn’t just us. You will be rewarded with a stroll down some stone-walled, cobblestoned lanes that afford a lovely rooftop view over Thun and onto the Bernese Mountains, which everyone else has rushed off to see, leaving you with Thun all to yourself. 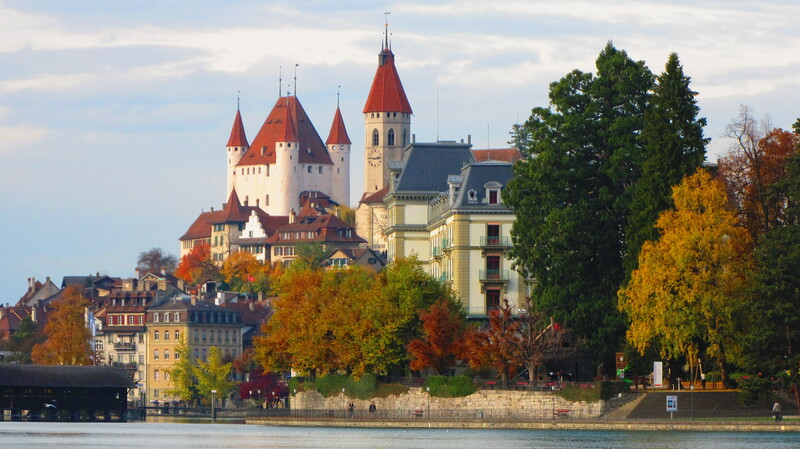 Thun has spectacular views of the Bernese mountains, including Jungfrau.